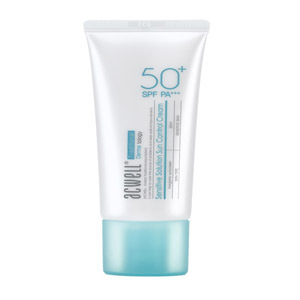 Acwell Daily Sun Control SPF50 Review: Does This Repair Skin Damage? ACWELL Daily Sun Control Emulsion is described as a moisturizer that delivers intense and deep hydration to the skin. With an SPF of 50, the emulsion can also help protect the skin from the harmful effects of UV rays. It can also function as a makeup primer that can ensure flawless makeup application. 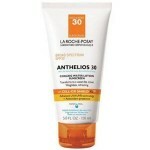 Are you looking for a product that can protect your skin from the sun? 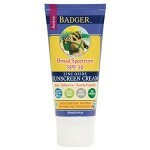 This Acwell Daily Sun Control SPF 50 Review can help you know If this is the one. Acwell is one of the most popular skin care brands that we have today. The company is known for its ability to incorporate traditional Korean medicine into their modern-day studies in order to develop skin care solutions that can address the most common skin care issues that we have today. The company utilizes natural herbs to restore the health of the skin. For best results, dot a small amount of the emulsion to your face and neck and gently tap the product over your face to evenly distribute it. Blend well and use this as the last step to your daytime skin care routine. Reapply all throughout the day as needed. A 1.7 fl (50 ml) tube of ACWELL Daily Sun Control Emulsion costs USD 28. You can buy it from a few third party retailer sites online. Rehmannia Glutinosa Root Extract: When used topically, this root extract delivers anti-inflammatory benefits that can help manage rosacea, cuts, wounds, and eczema. Licorice Root Extract: This can help to minimize the appearance of dark circles around the eye area. 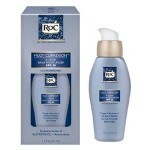 It can also address hyperpigmentation and age spots. Ophiopogon japonicus Root Extract: This supports and reinforces the barrier of the skin and can help protect it from environmental stressors. The emulsion delivers sun protection. It can also double as a makeup primer. 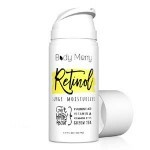 It is absorbed quickly and seamlessly blend with the skin. Some users complain that the emulsion leaves a slight white cast after application. This emulsion delivers three benefits to the skin. 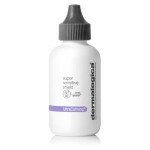 It hydrates, protects and primes the skin for the perfect makeup application. Because of these, it may be one of your choices for a moisturizer. However, the formulation contains alcohol and fragrance which are considered to be two of the most irritating ingredients in the skin care industry. If you wish to avoid skin irritations, choose a product that is better formulated than this. All products of Acwell, including ACWELL Daily Sun Control Emulsion, can be bought through retailer sites. Since the company does not have a website of its own, the return policy of its products will be based on the terms and availability of the return policy of the reseller.